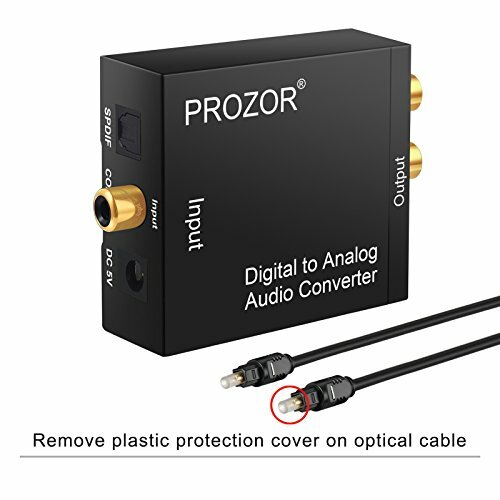 PROZOR Digital to Analog Audio Converter converts coaxial or toslink digital PCM audio signals to analog L/R RCA and 3.5mm Jack audio. 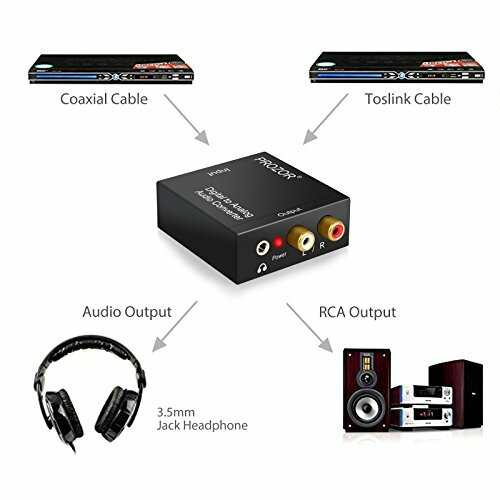 It also can be used for PS3, XBox, Blue-ray player, HD DVD, etc. 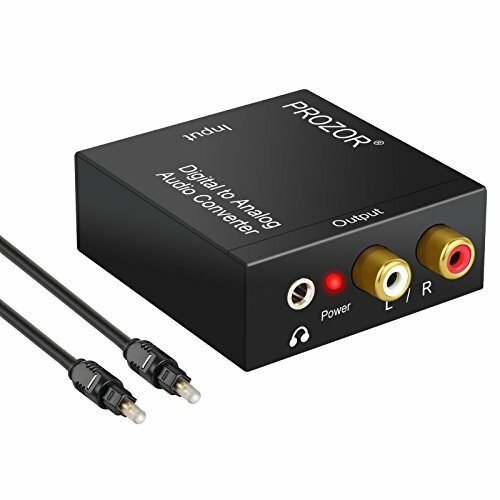 which have no RCA(L/R) outputs or 3.5mm Jack output. 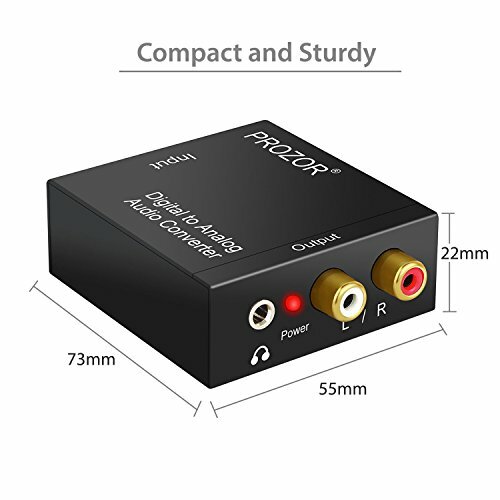 Please set your TV audio output to PCM / LPCM: Device homepage–system setting–image and sound—voice setting–digital audio output–PCM/LPCM. 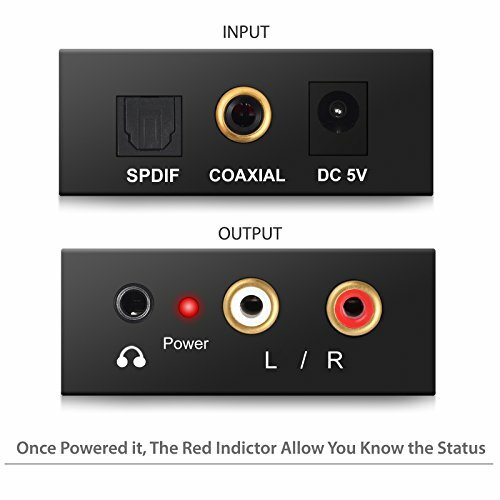 If Panasonic TV, please set TV audio output to SPDIF output. If Samsung TV, please turn on its external speakers : menu – sound – speaker settings – external speakers – on. 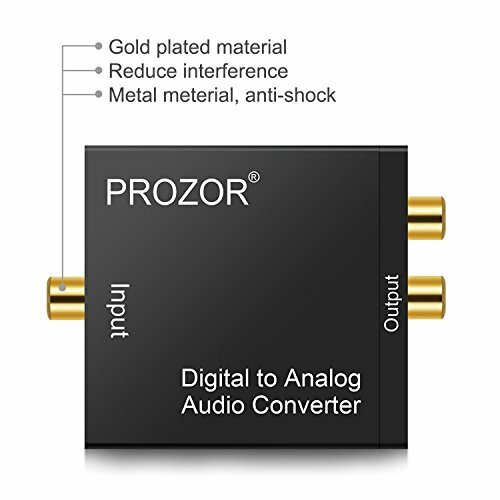 This DAC may have some compatibility problem with Youtube or Netflix. 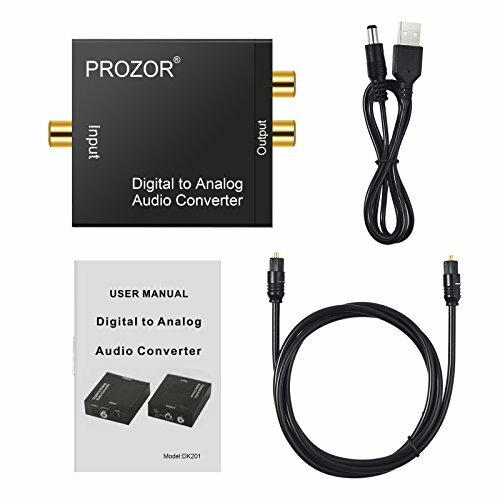 This PROZOR Digital to Analog Audio Converter Provides 18 Months Warranty.